F is for FIBER beginning in February at creative center KANEKO, when it opens a suite of textile-themed exhibitions at 6pm on Feb. 6 and running through April 25. Six distinct shows provide a sampler of historical and contemporary thread arts, from inspired utilitarian design to that with solely artistic intention. Visitors will first be delighted with Florabunda, a vibrant private collection of floral Hawaiian shirt prints tracing its golden age in the 1950s-‘80s. Fiber Legends displays the engaging visions of trio of renown artists: the “sound suits” of Nick Cave, the sculptural fiber work of Nebraska-born Sheila Hicks, and Asian-inspired tapestries of Jon Eric Riis. Global Tapestry brings together the activities of four women with international perspectives. Wall hangings by Omaha artists Mary Zicafoose and Susan Knight will be contrasted against a selection of Japanese kimonos curated by Yoshiko Iwamoto Wada and Jessica Hemmings’ explorations into the relationships among craft, art, design and culture. The American Tapestry Biennial also travels to Omaha; this juried exhibition showcases the variety of practices in current handwoven art. Two additional shows are the results of regional collaborations. 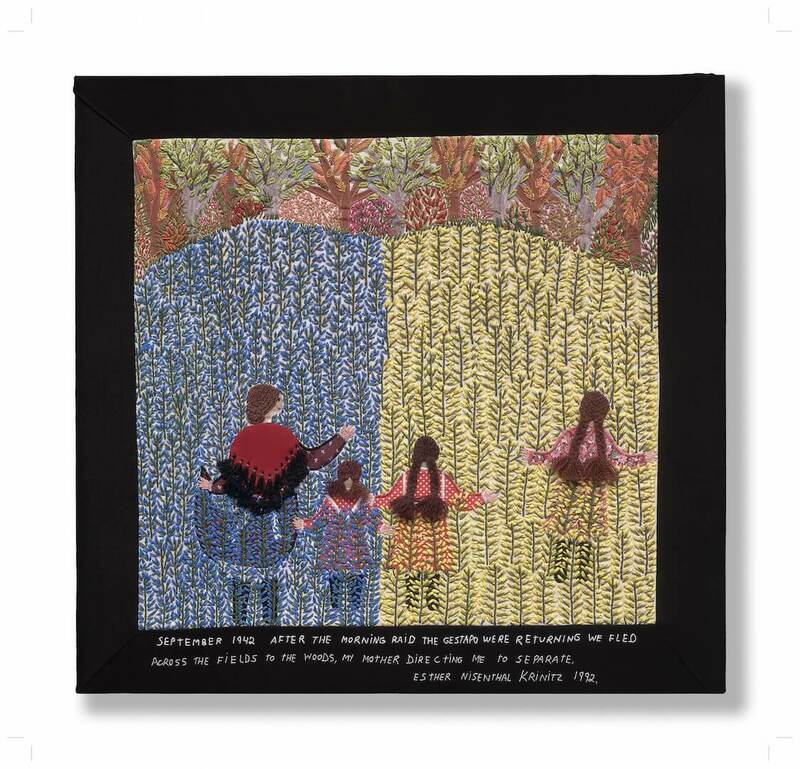 Fabric of Survival features the narrative art of Esther Nisenthal Krinitz, a Holocaust survivor who, later in her life, began making stitched textiles that outline her remarkable story. The show, open now through March 14 only, is produced in conjunction with Omaha’s Institute for Holocaust Education. KANEKO is one of three local homes to the Quilted Conscience Project, a collaboration that fosters intergenerational and cross-cultural connections between immigrant/refugee and traditional American communities. KANEKO will display a quilting project undertaken with young Sudanese immigrants in Grand Island. KANEKO, located at 1111 Jones Street, is open Monday-Friday 9am-5pm and Saturday, 1pm-5pm. Admission is free. For a schedule of FIBER-related programs, visit www.thekaneko.org. Davina, Shannon, Ross and More‘Sexperts’ Agree!